← Ready, Set, Adapt! Climate Change – What’s a Gardener to Do? More recently, I’ve had another change of vision, slower to manifest, but no less profound. 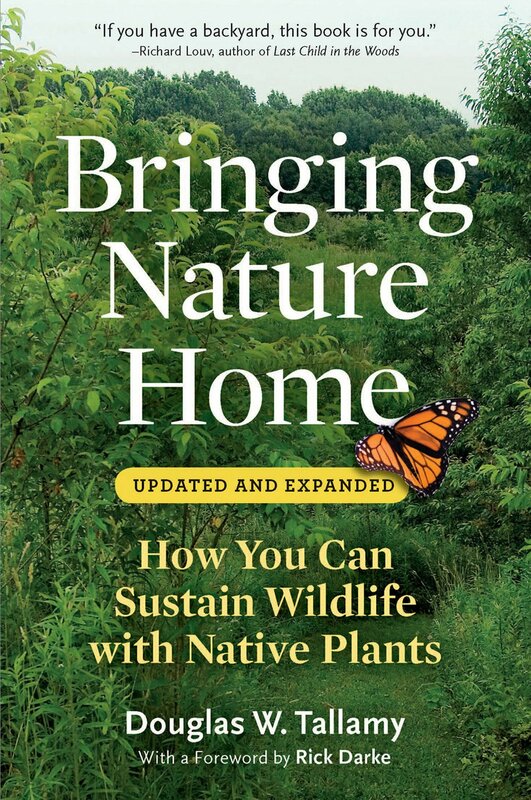 In 2008, I attended a lecture by Dr. Douglas Tallamy about how suburban gardeners can make a significant positive impact on our environment by using native plants. His talk was full of fascinating facts and examples. It spoke to my long-held concern for the problems facing the natural world , and gave me hope that I could actually make a difference just by how I gardened – something I loved doing. I made a point to speak with Dr. Tallamy after the lecture and let him know that he had convinced me: – I would be using native plants in the garden of the new home my husband and I had just purchased. I started in with gusto, but limited knowledge of native plants. The American home landscape has been dominated by showy non-native plants, primarily from Asia, for decades, casting native plants as less available, less pest resistant and generally less known. I made rookie mistakes, not understanding that the fact that some plants have both native and non-native varieties (just because there are native Viburnum doesn’t mean all Viburnum are native), or that it’s not enough for a plant to be native to America – i.e., West Coast plants might not be right for Arlington. I also bought some plants from sources that I now realize were potentially spurious, possibly raiding wild areas of plant material instead of cultivating it responsibly. But I learned. As I learned, so did a lot of other people. Dr. Tallamy’s message has become part of a chorus of scientists all singing the praises of native plants and the native insects, birds and other wildlife they support. New studies keep adding evidence of the importance of a wide variety of native plants supporting the wildlife and natural systems that evolved in each area. Landscape architects and designers have embraced the beauty of native plants, using them in public and private spaces. Availability of native plants has exploded. More and more people are using native plants and seeing their virtue. Now, as I look at Glencarlyn Library Garden’s Monarch beds, while I see the beautiful blooms, I am seeking something more. What I am hoping for is a milkweed leaf that is half gone, and when I see that, I hunker down to look more closely under that half leaf for the Monarch caterpillar that ate it. Often, I’m tipped off to the exact location of the caterpillar by the scattering of frass (yes, the name for insect poop!) on leaves below the voracious caterpillar. I get excited about such things, because this is why we plant milkweed, and it is beautiful to me. A fall webworm (Hyphantria cunea) dining alone on a Heuchera americana, alumroot, in the Glencarlyn Library Garden with frass droppings left behind. I was at the home of Wendy Mills, one of my fellow co-coordinators at Glencarlyn, and she showed me a cluster of Spicebush, a lovely native shrub with lacy yellow flowers in early spring. She pointed out holes in the leaves, slightly smaller than a dime, but cleanly cut on the edges. At first we were mystified, then the distinctive holes clicked into place in my brain. “You’ve got leaf-cutter bees,” I exclaimed. “They found a great nesting source here in your garden. This is what you want!” Suddenly, the holes looked to me like jaunty polka dots. to my eye – a problem transformed into a realized hope. 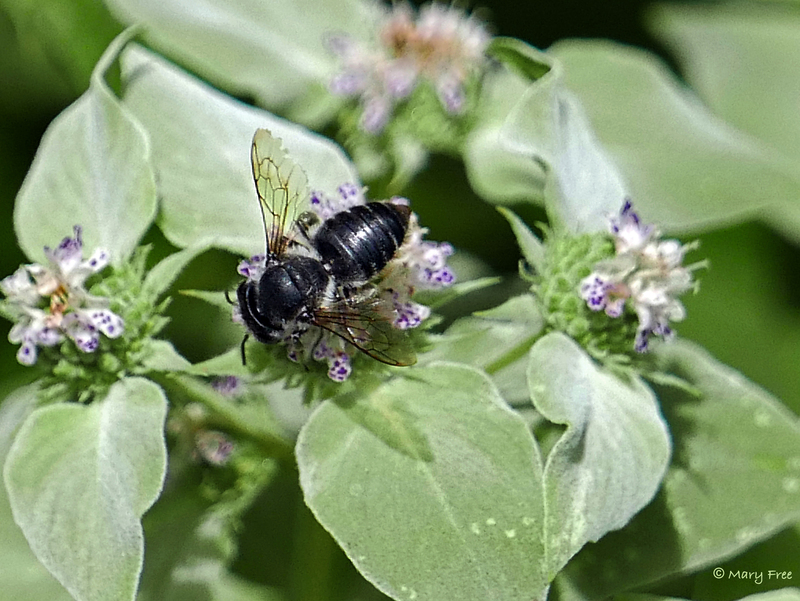 Pycnanthemum muticum: Close-up of Leafcutter Bee in June. Photo © Mary Free, 2017-06-27, private garden, Arlington, VA. Unfortunately, my new understanding doesn’t always reveal hidden beauty. Sometimes the opposite is true. Along with an appreciation of native plants, my understanding of invasive plants has grown. 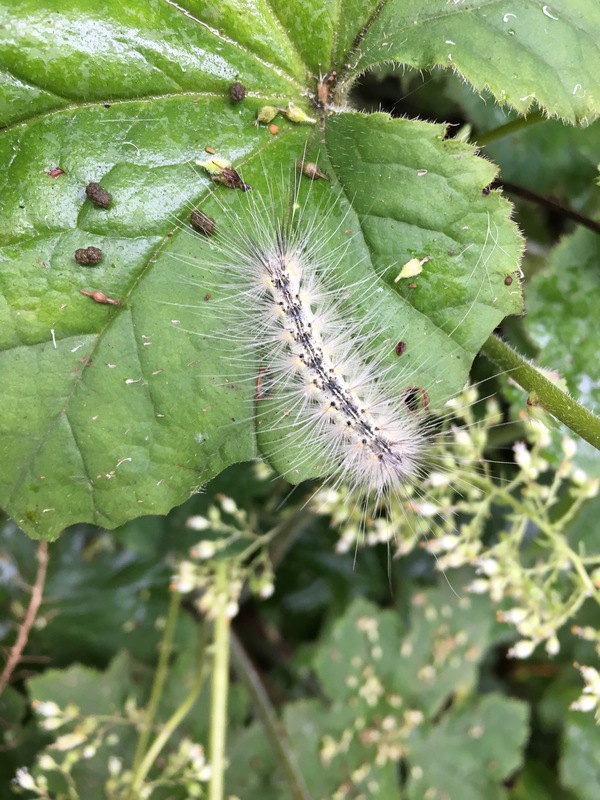 Where I used to think of the vines growing so lushly through woods in summer as verdant and beautiful, I now see the English ivy, porcelain berry and Japanese honeysuckle as destructive and out-of-control – a menace consuming our wild places. Each time I see the bright red berries of Nandina, I think about their toxicity to Cedar Waxwings. Now when I see the lavender pendants of Asian wisteria, I also see trees girdled by the vine, strangled to an early demise. Yellow carpets of lesser celandine on the banks of Four Mile Run in spring speak of native ephemeral wildflowers crowded out by a muscular intruder. When I see invasive plants, my hands itch to cut, to dig, to remove – mostly to replace with natives. The trade of an invasive for a native makes me feel like I am helping to tip the scale a little, and put a bit of balance back in the world. 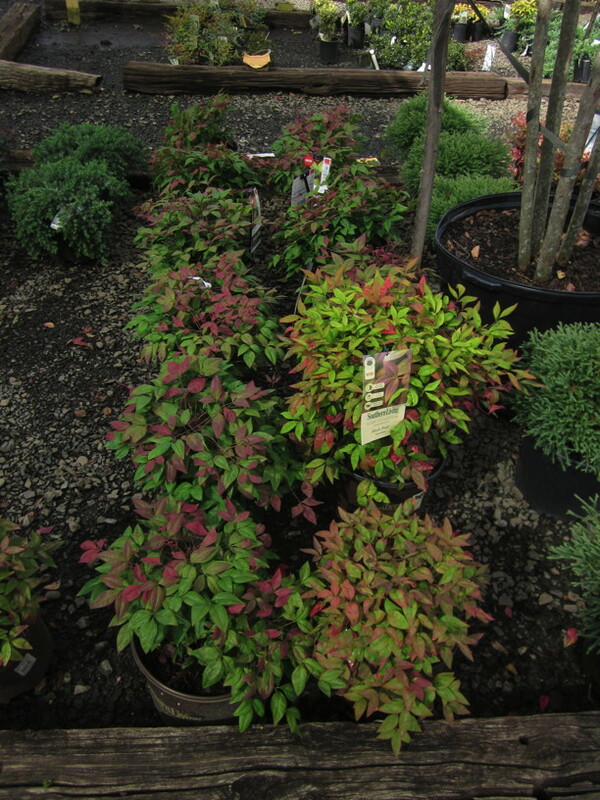 I long for opportunities to plant buttonbush, serviceberry and pawpaw. The more I learn, the more interesting my world is, full of beauty, wonder and opportunity. Yes, I see differently now. Author’s note: There are actually several appropriate replacements for each invasive plant, depending on the gardener’s desires and the circumstances of the garden. This list is intended only as a starting point. Check out our Tried and True Native Plant Selections for the Mid-Atlantic for additional suggestions. Tallamy, Douglas W., 2007, Bringing Nature Home, Timber Press. 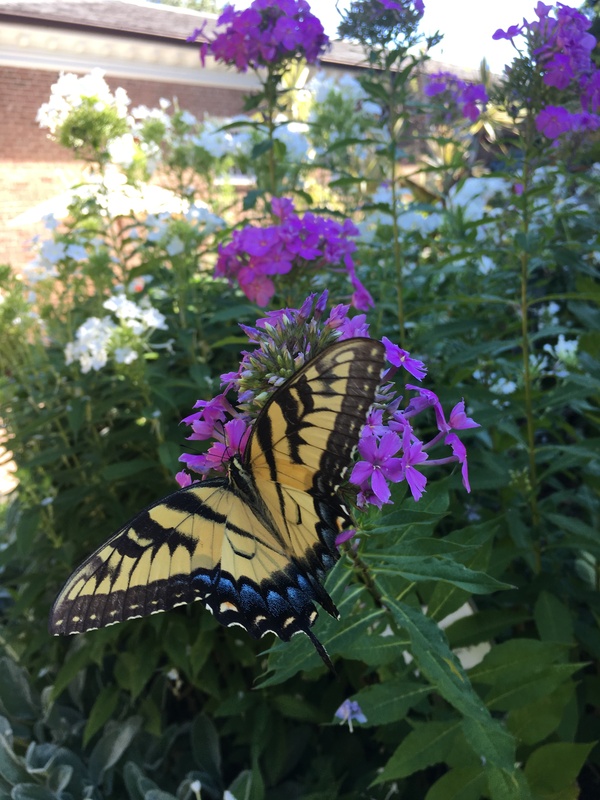 This entry was posted in MG in the Garden, Pollinators, Public Education, Tried and True Native Plant Selections for the Mid-Atlantic and tagged Doug Tallamy, invasive plants, monarchs, Native plants. Bookmark the permalink.